Geojit Franchise business has relatively limited geographical coverage and a huge room to grow if we speak from the industry perspective. The broker has done well overall, especially after acquiring Sharekhan, however, there are bits and pieces where some restructuring and overhauling may be required. As far as the offline presence is concerned, the broker is present in 70% of the Indian states and does that through a couple of business models it has to offer. Geojit is in retail finance for over 30 years now and has survived the high and low of the market. The company boasts of about 9,00,000 clients and around ₹34,900 crores of assets under management. Geojit offers the sub-brokership with a string of services such as internet, phones, and emails and so on for its stockbroking business. For all trading purposes, Geojit has its internal application. Also, they are equipped with their own marketing team. Further, research and advisory services are offered free-of-cost to the sub-brokers. Geojit franchise offers 60:40 arrangements to its sub-brokers, where the sub-broker retains 60% of the revenue while Geojit keeps 40% of the brokerage generated. Depending on the client quality and the business that a sub-broker is bringing, the revenue model can be changed offering more incentive to the sub-broker. There are different categories/slabs of revenue sharing that the company has set based on the brokerage generated. In the case of Remiser, sharing ratio would be 25:75. Apart from the above-mentioned aspects, ideally you should be a certified Authorized personal from SEBI and have an experience of around 2-3 years in the financial product selling or servicing space. Nonetheless, the broker may try to fit you in, in case these aspects are not covered in your profile. Once you agree to the terms and conditions and fulfilled the criteria, an agreement has to be signed for the initial payment of the total capital and registration fee through cash or cheque. After all the formalities, a business code will be granted to the individual. All the expenses in setting up the office should be borne by the sub-broker. Recommendation of the Stock Exchange – the duly filled application form for sub-broker is submitted to the SEBI, which then examines it based on its parameters. 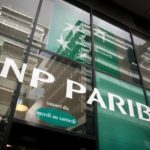 Once the board is convinced, it releases a Recommendation of the Stock Exchange acknowledging that the individual can now be the sub-broker of the brokerage house. The whole process of setting up the Geojit sub-brokership would take a maximum of around 15 days after which the applicant would get the code to start operating as Geojit franchise. Once the code is received, the company would start by offering all support and other marketing, as well as, branding material. After getting the sub-brokership, all the training would be offered by Geojit’s relationship managers or RMs. Also, RMs would help the sub-broker to build strategies for the client acquisition and boost brokerage. Training would start by offering workable knowledge of the trading platforms, software, online cash management, business process and so on. Geojit offers its own software and CRM tools to help in trading and analysis. Also, Geojit franchise owners would get complete support on the technical and fundamental side through reports and trading recommendations. In case, a sub-broker is not able to place a trade due to a technical glitch, they would get support from the back office and technical team. Often sub-brokers ask for organizing event or investor education sessions at their location to acquire more clients. Geojit offers financial, as well as, other supports for such activity. They would also offer materials like visiting cards, banners, flex, leaflets and so on. 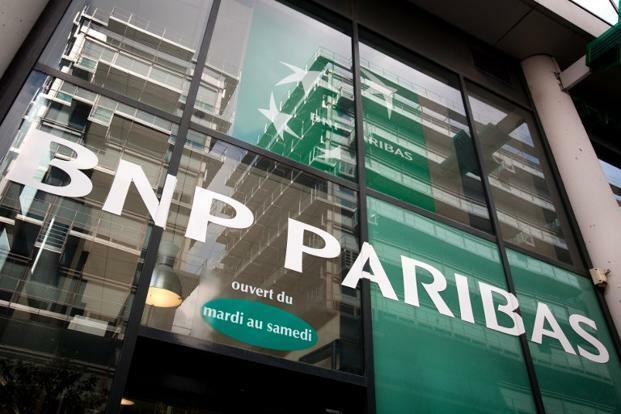 Backed by Big Names – There are a strong set of shareholders behind the company with the major one being BNP Paribas. Other major shareholders with a considerable stake in the company are Mr C. J. George – MD, promoter and founder of Geojit, KSIDC (Kerala State Industrial Development Corporation) and Mr Rakesh Jhunjhunwala. The confidence of known shareholders in the company is often seen as a good thing implying that the financial and operational health of the company is sound. Years of Experience – Geojit has over 30 years of experience in the Indian Stock Market. With about 900000 clients and 514 offices, the company manages assets of about Rs. 34900 crores. Wide Range Of Products – Geojit offers a wide range of investment products. The knowledge and the training of all the products are disseminated to the sub-brokers so that they can convey the same to the clients and earn brokerages. Wide portfolio of products is one of the many reasons that attract investors, who get to diversify their portfolio. Attractive Brokerage Plans – Geojit offers competitive brokerage rate. This helps the sub-brokers in acquiring new clients while retaining the older ones. Technical Support – The sub-brokers need not worry about the technical services. The company offers all kinds of technical support and resources to the sub-brokers. Further, the concerned RMs tracks the progress of the sub-brokers and are ready to offer support in case there is an issue. Consultation with the Client – At times, high net worth individuals want to talk to the people at the managerial level or at the head office. They are not just satisfied with what the sub-broker has to offer them. In such a case, sub-broker would always want the assistance at a higher level to strike a deal with the client. Geojit has a strong technical and fundamental support team along with experienced advisors, who provide suitable information to the clients as and when they need. 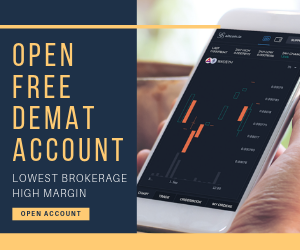 Advanced and user-friendly trading platform – the broker offers trading terminal, web-based trading and a mobile app as well to make it easier for the sub-brokers to pitch their products to the clients, who want a mobile platform and a big screen experience as well. Geojit has a strong and user-friendly trading platform – especially its mobile app. Its trading platform enjoys supremacy on the back of strong and effective research, consistent support and evolving products and platforms in-line with the advancement of technology. Geojit has the honour of being one of the first pure broking firms in India to go for a public issue. Further, it was the first to start online trading facilities. More importantly, it was also the first to embark on the franchise model of sub-broking. It was also the first to have a joint venture with countries in West Asia, and a pioneer in starting online commodities exchange to trade in pepper, cardamom, silver and Gold. Geojit is a trusted broker and ensures full transparency up to the client level. Overall procedures for getting Geojit franchise are simple and in-line with the guidelines set by the Securities and Exchange Board of India. Revenue sharing structure of the firm ensures that sub-brokers get the due of their hard work and client acquisition. All these features together make Geojit one of the preferred brokers to take the franchise from. In case you are looking to open a sub-broker or master franchise business through Geojit, then let us arrange a callback for you. You can read this Geojit Franchise review in Hindi as well.